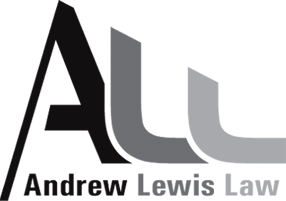 This paper comprises a selection of articles prepared by Andrew Lewis Law on topics relevant to the above presentation from a legal perspective. It does not cover the full scope of the presentation, but it does cover a number of selected areas which are either particularly relevant to lawyers or potentially controversial in the negotiation process. The Financial Markets Conduct Act 2013 (FMCA), together with associated regulations (in particular the Financial Market Conduct Regulations 2014), is now the governing legislation for offers of securities to the New Zealand public. The FMCA benefits many growth companies by offering wider and clearer exemptions from the requirement to issue regulated disclosure documents when raising capital from private investors (compared to the previous Securities Act). The FMCA regulates offers of securities (including equity securities or shares) to the New Zealand public and starts from the premise that any offer of financial products is a public offer unless it fits within specific FMCA exemptions. If the offer is not made wholly within applicable exemptions then a registered disclosure document (or documents) must accompany the offer (called a product disclosure statement (PDS) under the FMCA). Completing and registering an approved disclosure document in compliance with the relevant legislation has significant cost and timing implications, which are generally prohibitive for a small capital raising or where funds are required urgently. However, the costs of failing to comply if the offer does not fit wholly within exemptions will be even higher (eg if the Financial Markets Authority (FMA) becomes aware of the non-compliance or if someone complains). The offer may be deemed illegal and penal sanctions will potentially apply against both the offeror and its directors. offers through licensed intermediaries (crowd fundraising). The exemptions are not mutually exclusive. A company can raise capital relying on different exemptions for different investors. There is an exception to this general principle in relation to small offers and offers through licensed intermediaries, where the $2 million fundraising cap for those offers cannot be aggregated. persons who commit to invest a minimum of NZ$750,000 in the offer. other persons who have a close professional or business relationship with the offeror (or a director or senior manager of the offeror) which allows them to assess the merits of the offer or obtain the relevant information to do so. no more than $2 million is raised by the offeror from the issue of securities in any 12 month period. had (together with any controlled entities) annual gross income of at least $200,000 for the last 2 completed income years (or is controlled by a person who meets that income criteria). The $200,000 income test should catch a much wider group of moderately well-off investors, compared to the $5m threshold for net assets or turnover within the wholesale investor exemption. The extended ‘personal offer’ concept comes with a prohibition against wider ‘advertising’ of the offer, where the offeror must take reasonable steps to ensure that any communication regarding the offer is only received by people who meet the eligibility criteria for a ‘personal offer’. The licensed intermediary/crowdfunding exemption allows an issuer to raise up to $2 million through a licensed intermediary (such as Snowball Effect. PledgeMe, Equitise, etc.) on their platform, subject to complying with limited disclosure requirements. TERM SHEETS – ARE THEY WORTH THE BOTHER? Equity investors and other financiers typically seek agreement on a term sheet early on in the investment process, prior to undertaking detailed due diligence. A company seeking funding or a founder seeking investment partners for a project or other venture might also issue a term sheet to potential investors or funders. Indeed, a term sheet (or a similar preliminary document setting out key terms) serves a useful purpose for almost any proposed transaction. A term sheet sets out the key terms for a proposed investment or other transaction. Its key purpose is to identify whether the parties are likely to reach agreement on the terms of the proposed transaction before significant financial and other resources are committed to one or more of due diligence, legal drafting and negotiation of detailed documents. The idea is to flush out any ‘deal-breakers’ earlier rather than later and reduce ‘deal risk’ before substantial costs are incurred. The term sheet also plays an important role in setting the framework for the subsequent documents (should the transaction proceed) and reducing the costs of subsequent drafting and negotiations. A heads of agreement (HOA), memorandum of understanding (MOU) or letter of intent (LOI) are variations on the same theme. The forms may be slightly different and a term sheet or heads of agreement tend to have greater pretensions of being binding in parts (compared to a MOU or LOI), but the purpose, substance and legal effects are more or less the same. The advantage of the term sheet format is that it tends to be more focussed on the key deal terms without the constraints of trying to fit within a typical legal agreement structure. A term sheet is usually in a table format (headings on one side and corresponding key terms opposite each heading), which aids ease of reference and encourages simple language. How binding should it be? As noted above, a term sheet does not usually bind the parties legally to the key deal terms (which are the principal substance of the term sheet). A term sheet will often contain some binding terms, but they usually stop short of obliging the parties to enter into the proposed transaction on the key terms set out. The binding terms will typically include obligations to negotiate exclusively with the other party and in good faith and to observe confidentiality. A break fee may be specified and payable for a breach of the exclusivity or good faith negotiation covenants. Sometimes the obligation to pay a break fee extends to the circumstance when an investment is offered on terms consistent with the term sheet, but the investee company does not agree to accept the investment, but such an obligation is difficult to enforce in practice unless it is clear that the company failed to negotiate in good faith and observe the exclusivity covenant. Some term sheets go further and purport to bind the parties to do the deal according to the key terms stated. This is more common and makes more sense for debt finance, where the other deal terms not set out in the term sheet (or offer letter) tend to be very standardised. That is not the case where equity is being invested and the term sheet tends to become an ‘agreement to agree’ in respect of other terms not set out in the term sheet. Making the term sheet binding in respect of the deal terms introduces a tension to set those terms out in much greater detail and to include less material terms. The approval processes to sign the term sheet are also likely to be more laborious. These factors may defeat the very purpose of the term sheet. The term sheet should incorporate the important commercial terms and variables of the proposed deal in sufficient detail (and no more) so that the parties are confident that they will be able to agree on the remaining and more detailed terms of the definitive documents. Accordingly the term sheet should cover off terms which might otherwise be ‘deal-breakers’, so what remains should be relatively standardised or non-contentious. It can be a delicate balance to satisfy the above objective, while not getting too bogged down in the detail or costly and time-consuming negotiations. How much time should be spent negotiating the term sheet and is it necessary to sign it? Parties can often get bogged down on the terms in the term sheet even though they are in broad agreement on most of the key deal terms. Sometimes a party will want to set out additional detail for certain terms before agreeing to them or seek legal advice regarding the full implications of certain provisions and, before the parties know it, they are more or less negotiating the detail of the definitive documents. In other cases, one or both parties may need to go through time-consuming approval processes to sign the term sheet, but the parties wish to progress the transaction in the meantime. Such circumstances may call for a measure of pragmatism, particularly if the parties have reached agreement on most of the material terms and are confident that the remaining terms will ultimately be agreed. One option (usually the preferred option) is to modify the term sheet so that it records everything that has been agreed, along with any agreed processes to resolve the remaining contentious items. In other cases the term sheet may have served its purpose (ie it has identified the key commercial terms which are agreed and those which will require further negotiation) and the parties may be sufficiently comfortable with and confident of the ultimate outcome to move on to the next stage without actually signing the term sheet. Whether this is tenable will depend on the importance placed by either party on the binding provisions. The term sheet plays an important role early in the negotiation process of a transaction, by identifying (cost-effectively and before the lawyers get too involved) whether the parties are in agreement on the key terms of the proposed transaction, such that they can be confident of agreeing the more detailed definitive terms. This is a useful step to undertake before the parties incur significant additional transaction costs. The trick and balancing act with a term sheet is where to draw the line in satisfying the above objective, as far as is practical, without getting into detailed and time-consuming negotiations and legal processes regarding the detail. This article discusses some key terms an investor should consider when negotiating an equity investment. Price, while obviously fundamental, is only one of the investment terms open for negotiation. The opportunity exists to negotiate other terms which will significantly reduce an investor’s risk and increase the upside if the investment is successful. Some of those terms offer downside value protection in case the investor finds it has overpaid due to information which surfaces, or events which occur, after the investment is made (in particular if the next investment round is at a lower price or the value realised on liquidation or exit is insufficient to return the amount invested). In some cases they may even enable the investor to pay a higher price and achieve a “win win” with the existing shareholders and investee company, where the investor is better protected if the investment does not perform while the existing shareholders do better (alongside the investor) if the investment is successful. Set out below are some of the key terms (other than price) which an investor might consider on a deal by deal basis. Some are more applicable to minority investments while others are generic to any investment. Some reflect terms typically sought by venture capital and other early stage investors (who are usually the most adept at optimising their minority positions), but which are worth considering in any investment deal (perhaps there is an element of venture capital risk for most deals done in the current environment). Tranching: Consider structuring the investment into a number of tranches instead of investing all the capital in one lump sum. The tranches can be matched against the investee company’s cash requirements and the investor’s obligation to invest subsequent tranches will be contingent on commercial milestones being achieved. This will give the investor discretion whether to invest the balance of the investment if the investee company is not progressing in accordance with pre-agreed financial or other targets, so the investor can either cut its losses or seek to renegotiate investment terms as a condition of making the balance of the capital available. Start with Convertible: Risk can be reduced further by providing convertible finance rather than equity at the outset. Convertibles provide all of the upside of equity while preserving a priority position for the investor over existing shareholders in the event the investee company fails or can’t return all invested capital to the shareholders. Sometimes the first tranche of an intended investment is structured as a convertible until key milestones are achieved and the investor is sufficiently comfortable with the company and management to proceed with a larger equity investment. Preferential Equity: Preferential equity terms are particularly common for venture capital investments. Like convertibles they give the investor priority over other shareholders, but an equity priority rather than debt. The most typical preference right is for the investor to receive its capital back (or in some cases a multiple of that amount) in priority to other shareholders on exit/liquidation. Usually the preference only applies if a pro rata distribution based on the total number of shares (ordinary and preference) would not return the amount invested by the preference shareholders, but sometimes preference shares are participating preference shares, meaning that they get a preferential return as well as fully participating in the return to ordinary shareholders. In those cases, the preference goes beyond downside protection. Preferential dividend rights may also apply, where the preference dividends accumulate until a distribution can be made and are added to the exit preference if that occurs first. Preference rights can be used to bridge the valuation gap which typically exists between investor and founder expectations, where the investor might pay a higher price than it would otherwise be comfortable paying because of the value protection embodied in the preference rights. Anti-dilution: Anti-dilutionrights provide a more limited form of equity preference, providing the investor with basic downside price protection in relation to future investment rounds if shares are issued at a lower price than the original investor’s price. Usually this entails the issue of additional shares to the investor (at nil cost) to reduce its effective average purchase price per share to either the new issue price (full ratchet) or a weighted average price, which might be either narrow based (just averaging the price per share paid by the protected shareholders and the investors who invest at a lower price) or broad based (averaging the price paid, or deemed to be paid, for all shares issued by the company). In all cases the protection is at the expense of the other existing shareholders who do not have the protection and for whom the dilutive effect of the down-round is magnified. The investee company will sometimes seek a requirement for the investor to participate in the new investment round in order to avail itself of the anti-dilution protection (pay to play). Further Investment Rights: One way toleverage further upside over and above the committed investment amount is for the investor to acquire options to subscribe for further shares, or a first right to finance the investee company’s future capital requirements, at a pre-agreed price (often the same price as for the original investment) reflecting the importance of that investment in achieving any value uplift. Unlike tranching (which is more about staging the assumption of risk), the further investment will be entirely at the investor’s option. Drag and Forced Sale Rights: For a privateequity/venture capital fund investor (or other investor who has a fixed investment timeframe), the success of an investment is usually dependant on a successful exit being achieved within a specified timeframe. Drag along rights will invariably apply whereby a specified majority of shareholders can force the sale of the company as a whole. A typical drag along provision will set that majority at somewhere between 50.1% and 75% (75% being the least contentious where 75% is the default majority for a major transaction under the Companies Act, so is the applicable majority which can force an asset sale), but then require that such majority also includes a majority of the investor shares. In some cases a majority of the investor shares can drag all other shareholders in a sale or otherwise force a company sale if an exit is not achieved within a specified timeframe (eg. 5 years), even though the investor shares are a minority. Tag and Pre-emptive Rights: Unless shares are widely heldthere is usually a mutual expectation that pre-emptive rights and tag along rights will apply to proposed share transfers (other than related party transfers). Pre-emptive rights for a growth company with financial investors should operate as simple rights of first refusal in favour of other shareholders. Any ability of other shareholders to challenge the sale price sought by the selling shareholder where they consider it exceeds fair value (as is quite common for certain types of closely held companies) is not appropriate. The percentage sale threshold which triggers tag rights is typically anywhere between 20% and a controlling stake. Some believe that the applicable thresholds for drag along and tag along should match, but this ignores the very different nature of such rights. Best practice for growth companies which attract minority investors is to set the tag along threshold quite low (closer to 20% than a controlling stake) or otherwise provide that co-sale rights will apply if other investors or the company founders exit. Financial investors do not look kindly on founders or other investors being able to exit without that opportunity being extended to all investors (so they can be left behind without an option to exit in a sale). Business Plan: An investor should consider linking the investment to an agreed business plan (incorporating a budget), so that the investment must be applied in the manner set out in that plan and the company must otherwise follow the agreed plan (which is renewed annually by agreement). If the investment is tranched, the milestones will be drawn from the business plan to ensure the company remains on track with the agreed plan. Reserved Matters: Any shareholders’ agreement for a growth company with financial investors typically contains a requirement that specified key decisions are approved by a special majority, often a board majority which includes a director appointed by the investors or independent directors or, in the case of shareholders decisions, a percentage greater than 50% (eg. 75%), sometimes with an additional requirement that such majority includes a majority of the investor shares. The reserved decisions typically include any significant capital expenditure or acquisitions or dispositions, any material borrowings (or the giving of any security), any alterations to share capital or the company’s constitution, approval of the annual business plan (or significant departures from the approved plan), appointments of key people and other significant decisions which could materially affect value or the risk profile of the company. Clearly an investor will seek a wider ambit of the reserved decisions if it is acquiring a minority shareholding and an active investor will be particularly concerned to ensure that its approval is required for any departures from the business plan which formed the basis of its investment. At the same time parties should be conscious of minimising the risk that the development of the company’s business as intended can be thwarted by a deadlock over a reserved matter (in some cases a suitable resolution mechanism to resolve any deadlock is appropriate). Board Control: The company is controlled and governed by the board and board control is generally more important than shareholder voting rights. A minority investor will typically seek to ensure that the balance of power on the board is vested in independent directors who are acceptable to the investor. Key Person Provisions: For most investments in growth companies therewill be certain key people (usually founders and key management personnel) who are important to the future success of the company. An investor should consider whether adequate arrangements are in place to ensure those people are sufficiently incentivised to remain with the company for a specified period to optimise the company’s success and that they are fully aligned to achieving that success. Typically these key people are restricted from selling shares for a specified period and may be subject to reverse vesting provisions, such that they give up shares if they leave the company within a specified period (where the number of shares which are at risk of reverse vesting reduces proportionately over the relevant period). The treatment of a key person who leaves the company usually has regard to whether they are classified as a good leaver or bad leaver. warranties are provided by both the company and existing key stakeholders (noting the limitations associated with enforcing warranties against the company which the investor has invested in), in respect of information provided and other risks existing at the time of investment. While there are significant opportunities for investors investing in high growth companies, such investments are inherently high risk. It is important to structure the investment deal and the investment terms appropriately so that the inherent risks are managed to the extent that is practical. The “right terms” are not just about the “right price”. Other aspects of the deal which provide downside protection, leverage further upside and enhance the prospects of the investee company succeeding can be equally, if not more, influential. No matter how cheap the price it will still be a bad deal if the investment fails, so every effort should be made to include terms which manage the inherent business risks as far as practical. This should also entail a balancing of the interests of the investors and the existing shareholders to ensure that the key stakeholders’ interests remain aligned with the company’s success. THE FEAR OF DILUTION- SHOULD INVESTORS TRY AND PROTECT AGAINST IT? The fear of dilution in the future is often top of mind for both company founders and investors. This section considers the case for anti-dilution protection from the respective perspectives of founders, investors and the company itself. Should company founders and investors seek to prevent down-rounds happening through the company’s constitutional documents? It is not unheard of for founders or investors to insist on inclusion of a provision in the company’s constitution or a shareholders’ agreement which prohibits the company issuing shares at a lower price than the price they paid. However such a provision ignores commercial reality and is not in the company’s best interests. The value of any company will change from time to time, whether the shares are being traded or not. This is inevitable as the key determinants of company value (recent earnings performance, NTAV and future prospects) do not stand still. Accordingly, the underlying value of a company’s shares will rarely be the same as the original issue price. If the value of a company and its shares has gone down, then it is very unlikely that the company will be able to raise additional equity capital at the original issue price. Yet that is often the very circumstance when a company needs new capital as factors which reduce value (eg poor trading) often result in the company needing additional capital to survive or recover its market position. Even where a company seeking to raise new capital is optimistic that the required capital can be raised from existing shareholders without having to go out to find new investors, it will want to make any rights issue as attractive as possible, particularly if it is uncertain whether all shareholders will take up their proportionate share. The lower the issue price, the greater the dilution will be for non-participating shareholders and the more incentivised shareholders will be to participate. Shareholders who support the company through the hard times should receive some relative benefit compared to those who don’t and they certainly should not pay more than fair market value at the time they give their support (taking full account of the risk profile and uncertainties which exist at that time). If a company’s constitution prohibits a down-round then in most cases that will just pose an additional procedural hurdle to issuing shares at a discounted price. The down-round issue can still proceed if the requisite majority support required to change the constitution is achieved (usually 75%). However, any required waiver of a similar prohibition in a shareholders’ agreement will normally require unanimity (at least of the shareholders who are party to that agreement). If a down-round is to be restricted, it is more sensible for the constitution or any collateral shareholders’ agreement to specify any “super majority” or other special shareholder approvals which are required for it to occur than try to prohibit it. This at least avoids the additional procedural steps associated with a change to the constitution or an amendment to a shareholders’ agreement. When setting any “super majority” threshold or framing other special approval requirements, careful consideration should be given to the effective veto rights created and whether the parties who can block a down-round are likely to exercise that right responsibly with regard to the company’s interests and not just their own. Rather than trying to prohibit or restrict a down-round, it is more common and logical for investors to seek protection against the dilutionary effects of a down-round. The legal provisions which provide this protection are usually called “anti-dilution” provisions and typically operate by requiring additional shares to be issued at nominal value to the shareholders who have the protection, thereby reducing the dilution suffered when a down-round occurs. All existing shareholders will still be diluted if new shareholderssubscribe for shares, but the anti-dilution provisions will reduce the dilution in shareholding value which is suffered by the protected shareholders when new shares are issued at a reduced price. Such provisions usually provide either full ratchet protection or weighted average ratchet protection, depending on the extent to which they reduce the average share price paid by the shareholders who benefit from the protection. Under a full ratchet, the protected shareholders receive such number of additional shares as will reduce the average price they have paid for shares in the company to the lower price at which shares are issued in the down round. There are a number of variations for weighted average ratchets (some are narrow based while others are broad based), but commonly the protected shareholders receive such number of additional shares as will reduce their average price to a weighted average of different issue prices. A narrow weighted average is typically a weighted average, according to relative amounts invested at the different prices, of the protected shareholders’ previous average share price and the lower price for the new issue, while a broadly based weighted average will provide an average across a wider equity spectrum (possibly inclusive of options). To demonstrate how these clauses operate and the difference in the protection afforded by the different types of clause, consider the example of protected shareholders who invested, say, $1 million to subscribe for 1 million shares at $1 per share, where the company subsequently raises a further $1 million by issuing 2 million shares at 50 cents per share. Under a full ratchet provision the protected shareholders will be issued an additional 1 million shares at nominal value, reducing their average price per share to the down-round price of 50 cents (they will then have 2 million shares for $1 million invested). Under a narrow weighted average ratchet the protected shareholders might be issued an additional 500,000 shares, reducing their average price to 66 cents, which is the weighted average where the company will have raised $2 million in total over the two issues by issuing 3 million shares (before the issue of the “free shares” under the anti-dilution provision). In some cases, the additional shares are issued contemporaneously or immediately after the down- round while in others, typically when the protected shareholders hold preferred shares, the protection only operates through the conversion formula if and when the preferred shares are converted to ordinary shares. Should investors be protected against dilution? Anti-dilution provisions protect one category of shareholders at the expense of others (usually they protect investors who invested after the founders at the expense of the founders). Simply put, the dilution in shareholding value which would have been suffered by the protected shareholders (but for the anti-dilution protection) is shifted to the shareholders who do not have that protection, so they suffer not only their own dilution (based on pro rata shareholding) but also much of the value dilution which would otherwise have been suffered by the protected shareholders. Depending on the size and price differential of the down-round, the effects can be quite dramatic for the unprotected shareholders. The value of their shareholding can effectively be “washed out” by the combined effect of the down-round and the issue of free shares to the protected shareholders. Anti-dilution provisions rarely operate in the company’s best interests. They generally make it more difficult to raise new capital in the future and can adversely affect the company’s future prospects, particularly if the founders who suffer the increased dilution include key people who remain important to the company achieving its growth objectives. However the company may have no choice but to confer anti-dilution protection in order to raise required capital and immediate capital requirements invariably take precedence over potential future implications. Where investors insist on anti-dilution protection the company should, if possible, try and introduce a “pay to play” condition so the investors have to participate in a new investment round in order to receive the protection. Usually anti-dilution protection is conferred on investors who are paying more for their shares than the company founders and are investing based on the future potential of the company (as opposed to current earnings). If that value is not borne out by subsequent company performance and the company needs to raise more capital at a lower price, the investors effectively have an opportunity through the anti-dilution mechanism to retrospectively re-price their shares downwards. For the founders who paid less for their shares in the first place (and who may have got a large chunk of their shareholding for “sweat equity” or like, rather than hard cash) this might only mean that they lose the paper gain which accrued on the value of their shares when shares were initially issued to the investors at a premium. While anti-dilution protection may well be justified at the time it is granted (based on the above factors), the protected investors should be realistic about whether they will actually receive the benefit of the protection when a down-round occurs. If the company is sufficiently desperate for new capital that it is forced to offer shares at a lower price to new investors, those new investors will hold the negotiating power and may impose an investment condition that any anti-dilution provisions are waived, particularly if they feel that the resultant additional dilution of the founders will be against the company’s best interests (which, as noted above, may well be the case if founder support and alignment are still considered important for the future success of the company and the additional dilution will deprive them of meaningful shareholdings which will ensure they remain sufficiently aligned with the company’s interests). The previous investors who have the anti-dilution protection may have little choice but to waive that protection if the company needs the new capital and they are not in a position to provide it. Alternatively the new investors may be happy for the anti-dilution provisions to be applied, but only if the dilutionary effect on the key people amongst the founders is neutralised by the issue of shares or options under an employee share plan. This will also neutralise the anti-dilution protection to some extent, but will have the advantage of re-targeting incentives and the alignment of founders, concentrating on the people who really are important going forward. Where the new investors allow the anti-dilution provisions to be applied they will take full account of the negative impact on share value these provisions will have (where the company’s value will be spread across more shares) and factor that into the price per share they are prepared to pay. Accordingly, the down-round share price will be lower again where anti-dilute provisions operate (reflecting the additional dilutive effect such provisions will have on shareholding value). Whether traded or not, the true underlying value of a company’s shares will change regularly. Unless a company needing additional equity capital is able to offer shares at fair value (or less) at the relevant time, then it is unlikely it will be able to raise that capital. Anti-dilution provisions do not prevent a company issuing shares at a lower price than a previous issue but they can make it more difficult for a company to raise capital and can operate against the company’s best interests by further diluting the founders shareholdings to a point where they cease to be sufficiently aligned with the company. Anti-dilution protection can be justified where investors are paying more for their shares than the effective price at which founders or other existing shareholders have invested, particularly where the founders have received “founder equity” or “sweat equity”. From a company and existing shareholder perspective, it is preferable for any anti-dilution protection to take the form of a weighted average ratchet (rather than full ratchet), ideally a broad based average, and to make that protection conditional on the relevant investors participating in the future investment round for which the protection is applied. However the company’s ability to negotiate these provisions will depend on the strength of its negotiating position, how desperately it needs the new capital and whether it has alternative sources for that capital. The convertible loan is a versatile financing instrument. There are circumstances when it makes sense for equity investors to consider the option of a convertible loan, at least as an interim measure. Similarly there are circumstances when debt financiers should consider seeking the potential upside of an equity conversion right, possibly to bridge a gap in expectations between the lender and the borrower over debt terms. In some cases the convertible loan offers the best of both worlds for the financier – the priority of debt, but with all or some of the upside of equity (depending on the equity conversion formula). While that may sound like a good deal for the financier at the expense of the recipient, it is not necessarily the case. There are circumstances when a convertible loan makes sense for both sides and it may be the only form of financing which is viable in some cases. This section considers the circumstances when a convertible loan structure may be the best or most viable financing option and some associated key deal issues which should be considered. The convertible loan is a debt instrument until it is converted. However, as noted in the introduction, it has the potential upside of equity (depending to some extent on the conversion mechanism described later in this section). While the convertible loan is a debt instrument, it often carries risk which is more akin to equity risk. That is because it is typically used in circumstances when conventional debt is not available to the borrowing company or is not available on reasonable terms, because of the risk profile. The convertible loan has priority over the equity, but that priority is academic if the company has no realisable assets to repay debt or return equity. The terms of the convertible loan will also determine the extent to which the loan is closer to equity than conventional debt. Some of those terms are discussed in this section. When might a convertible loan be preferred to an equity investment? The company or potential business idea is at a formative stage. Preliminary funding is required for a pilot study or to finance activities required to achieve a particular milestone which will indicate whether the business has sufficient potential to justify a more significant longer term investment. The equity investor is providing growth funding in anticipation of an IPO or other liquidity event, but has no interest or mandate to be locked into an illiquid private company investment long term (ie if the liquidity event is not achieved). The equity investor needs more time to complete full due diligence but the company needs preliminary funding in the meantime. A growth company is seeking further bridge funding from existing shareholders (and possibly new investors if the required capital is not provided by the existing shareholders) ahead of a more substantial equity raise. In that circumstance the loans might convert at a specified discount to the price which is ultimately achieved in the more substantial equity round or at a default price if the substantial equity round is not completed by a specified date. A key consideration for a borrowing company, particularly a borrowing company which is really seeking an investor prepared to take equity risk, is that a convertible loan is debt, not equity (unless and until such time as it is converted). This distinguishes a convertible loan from preferred equity. That means that the company has a legal obligation to pay back the loan if it is not converted by the lender or does not automatically convert at a specified time. Where the borrowing company is concerned about its ability to repay the loan (if required to do so), it should seek a reasonable time window from receipt of a notice from the funder (that the funder is not converting to equity and requires repayment) in which to effect that repayment (before any lender enforcement rights or penal provisions of the convertible loan agreement can be applied). The directors of a company which is accepting a convertible loan in full knowledge that there is a high risk that the company will not be able to repay the loan may also be concerned about potential personal liability. In these circumstances the company may require the convertible loan to expressly limit recourse to net cash available from the realisation of assets and to provide for forgiveness or conversion of any residual debt which cannot be repaid from those available assets. Another key consideration for the borrowing company is that a convertible loan may block other capital raising opportunities while it remains in existence. The company should ensure that it can trigger a requirement for the lender to either convert or accept repayment at any time after an agreed date (before the loan hampers other capital-raising activities). Where the funder is not yet ready to commit to a long term equity investment and requires an exit right, the company may actually share the funder’s preference for a convertible loan rather than equity. This avoids the company restructuring its equity and implementing any associated shareholder rights (which may include the introduction of preferential equity rights) on what could be just an interim basis. It also avoids dealing with more complex exit rights. A conversion price which is a specified percentage discount to the issue price of shares in the next equity round. Logically, the interest rate and conversion price should be considered together. Arguably there should be no interest during the conversion period if the conversion price is based on the value of shares at the time the loan is made (rather than a future value at the time of conversion), otherwise the lender is ‘double dipping’ to some extent. However it is not that simple for a seed investment, where typically a mezzanine level interest rate in the region of 15% will also apply, even though the loan is a substitute for equity and the conversion price is fixed up front. The justification for that is that the conversion price is largely contingent on the milestones being achieved (ie the lender doesn’t put any value on the shares and is not prepared to commit equity until then). In the meantime it is the lender’s convertible loan which is funding the milestones and proving value, so the lender should be compensated for the time value of money until the milestones are achieved. The situation is different for a company which is further down the growth path, has already attracted investment capital and where the conversion price reflects current value before achievement of any equity conversion pre-conditions like IPO readiness (which would increase that current value). In that case there is a strong argument that interest should only apply if the conversion conditions are not met in the expected timeframe and the lender elects not to convert (and then only from that point in time). Alternatively, the interest rate should be discounted to reflect that the lender will also capture all of the upside of equity. If the conversion price is the market price at the time of conversion then there is no reason why the interest rate should be reduced to reflect the value of the conversion right. If the conversion price is somewhere in the middle, then there might be some offset but a market-based interest rate is still likely to apply. Where the convertible loan is in the nature of seed capital, for tax reasons it is common for the time value of money calculation to be incorporated in the conversion formula (in an attempt to avoid taxable interest being derived on what is still a high risk seed stage investment), rather than being reflected as ‘interest’. Actual ‘interest’ is then only payable if the loan is not converted (and then only if demanded by the lender). Should conversion be entirely at the lender’s discretion for seed finance? Where a convertible loan is provided before any equity investment has been made in the seed stage opportunity, conversion is usually at the sole discretion of the lender. While the company may wish to define conversion conditions and achieve more certainty that the loan will be converted to equity if it achieves measurable targets, that is generally impractical in reality. Normally the lender will want discretionary general conditions in addition to any specific and measurable conditions like revenue or profit targets, so it can take account of all relevant factors at the time of making its conversion decision. Otherwise specific measurable conditions might be manipulated or might not reflect the full picture. Once lender discretion is introduced, there is limited value in trying to limit that discretion by drafting explicit conversion conditions. Should the loan be secured? As a convertible loan is debt, there is an opportunity to secure that debt, normally by a general security over the company’s assets and undertaking. a security will significantly increase the lender’s leverage to achieve whatever exit might be available and allow the lender to take control of that process if necessary (through receivership provisions etc). Do shareholder rights which will apply following conversion need to be agreed up front? Unless any shareholder rights which will apply on conversion are agreed up front, the lender will only have leverage to require such rights later if the company wants the lender to exercise the conversion right at that time. However if the company has made good progress during the convertible loan term and consequently has other equity or debt funding options which are more attractive than the previously negotiated conversion price, the lender may have little or no leverage when it comes to conversion. In that case it will only be entitled to those rights specifically agreed upfront (to which it is contractually entitled) or which already attach to the class of equity issued on loan conversion. It is often a dilemma just how far the parties go in spelling out all of the detail of the shareholder rights which will apply if the loan is converted. One of the attractions of the convertible loan is its relative simplicity and the fact that it can be agreed between the company and lender without necessarily involving other shareholders. Often a pragmatic approach is taken of agreeing any fundamental rights up front (in sufficient detail to ensure that the lender will at least get the core elements of those rights) and specifying a process to resolve other detail at conversion time. While this may not offer perfect protection for the lender, it may be an acceptable base position (noting it should still have some further leverage at conversion time unless it is demonstrably ‘in the money’ at that time – in which case the base position should be acceptable). The convertible loan is a versatile financing instrument and has particular application when an equity investor is not yet ready to commit to a long term equity investment in a company for whatever reason, but the company needs finance in the meantime (normally of a seed nature or for growth). The convertible loan potentially offers the best of both worlds to the lender, debt priority and protection, but with equity upside. A key benefit for both parties is that it is relatively simple to put in place, although this will be influenced to some extent by the approach taken in respect of future shareholder rights which will apply on conversion. The borrowing company needs to be aware that a convertible loan is debt, not equity. If it is not converted by the lender, there will be a legal obligation to repay the loan. There is a trade-off between the conversion price (or associated mechanism) and the interest terms on the loan. The borrowing company should resist the lender ‘double dipping’ by capturing a market interest return plus all of the equity upside. Because the convertible loan is a debt, it can be secured. Even if the borrowing company has no realisable tangible assets, there are some clear benefits to the lender (in terms of additional protections) if it takes security.